I accepted this book for review before I'd read Paris' debut, Behind Closed Doors. It was getting rave reviews so I thought I'd take a chance on this one. Then I read Behind Closed Doors and we all know how that turned out. I was more than a little concerned about picking this one up. But it did seem like just the right kind of book for the reading mood I was in so I decided to give it a shot. I read it in 48 hours over a very busy weekend. Which is not to say it's a perfect book; it isn't. But it was the perfect book for me right now. Did Cass' deteriorating mental state happen a little too quickly and a little too conveniently? Perhaps. But I could well imagine the guilt I'd be feeling in Cass' place and Paris has a plausible backstory that makes it all the more believable. Did Paris keep me in the dark until the end? Not entirely. I had a suspicion pretty early on who done it and, to some extent, even why. But I wasn't certain and I had no idea how. And that only answered part of the mystery. There are plenty of red herrings and I bit on all of them. And the device used to launch the resolution is a little unbelievable. But I didn't care by that point; I was willing to go along for the ride. Occasionally, the book felt like it dragged a bit but short chapters kept me reading and the last 65 pages raced along. 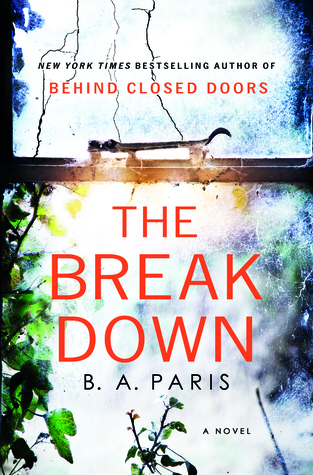 One reviewer called The Breakdown a "beach read." That sounds about right - not overly dark, nothing that's going to stay with you when you've finished it, and just enough tension to keep readers turning pages. But, like most beach reads, you have a pretty good idea, even if you don't know how, that things will be fine at the end. Which is just what I need right now in a book. 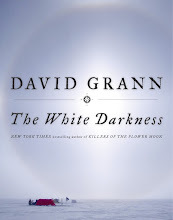 I liked this one and have just reviewed it on my blog. I found it a good book. It sounds like this book came to you at the right time. I am glad you enjoyed it. I haven't tried anything by this author, although I do have a copy of Behind Closed Doors. I thought it was a fun, page turning read. Not complex in the telling, just fun. I liked this one but, definitely preferred, Behind Closed Doors. Hope you had a nice summer Wendy - I enjoyed my blogging break. I really like the sound of the premise - more than the premise of Behind Closed Doors. I'm glad you enjoyed it! I think I'll start with this one. A good beach read thriller sounds perfect right about now!